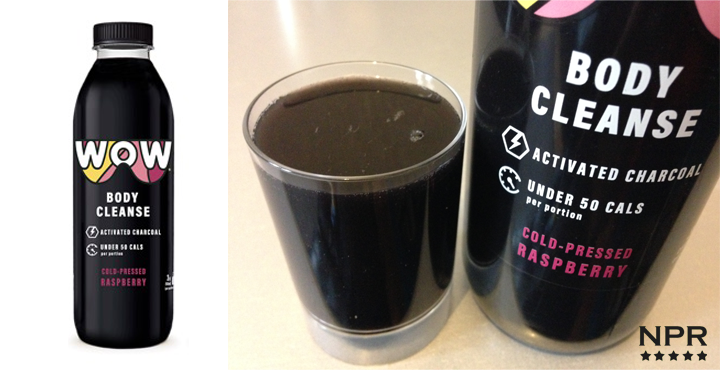 There has been a lot said recently about the health benefits of charcoal and this “body cleanse” drink by Wow Drinks includes activated charcoal which on the bottle states “…is wonderfully powerful and has absorbing capabilities”. If you’re looking for a sweet refreshing drink you won’t find it here. It tastes like a heavily watered down berry drink from the first mouthful. Its notb a strong flavour but there definitely is a taste of raspberry/berry flavour but its more slightly sharp than it is sweet. That being said it is quite refreshing and tastes much more fresher than a squash but obviously not as fresh as a smoothie. I actually wanted a taste of charcoal in it to see what it was like but at 0.2% that was never gonna happen. Will I feel refreshed tomorrow? You know with things like that I can never really tell, I’ll just have to take their word for it. Will I buy it again? Well, at £3.50 a bottle it is a stretch and in all honesty its not really an enjoyable drink …..but if I do wake up tomorrow a new man with a massive spring in my step and a unburning desire to go down to the gym then I might well be buying it again and again. But in all likelihood probably not!